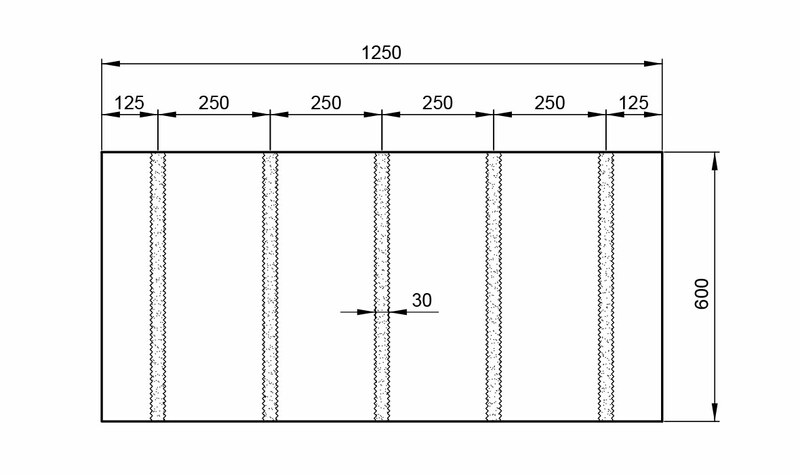 Perimeter insulation of basement retaining wall. 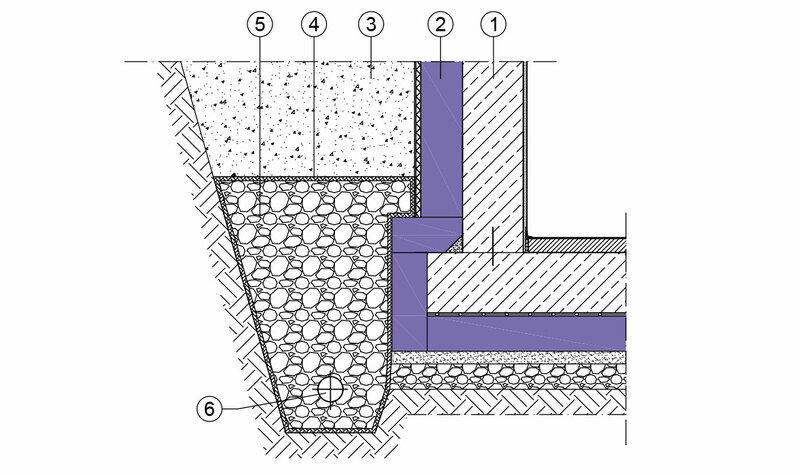 Energy-efficient insulation for soil-contact structural elements. Exterior insulation provides interior comfort. External thermal insulation of the basement retaining wall reduces heat losses and ensures a comfortable, inviting indoor temperature. 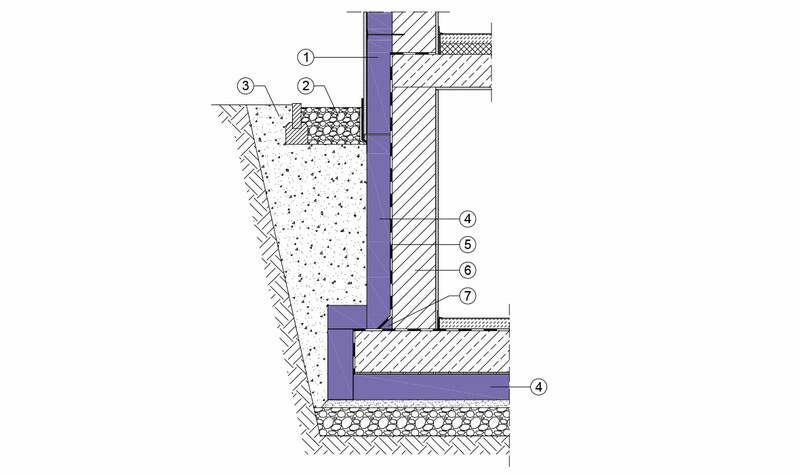 A professionally executed structural waterproofing forms the basis for bonding the perimeter insulation; this does not include components in waterproof concrete in contact with the earth. 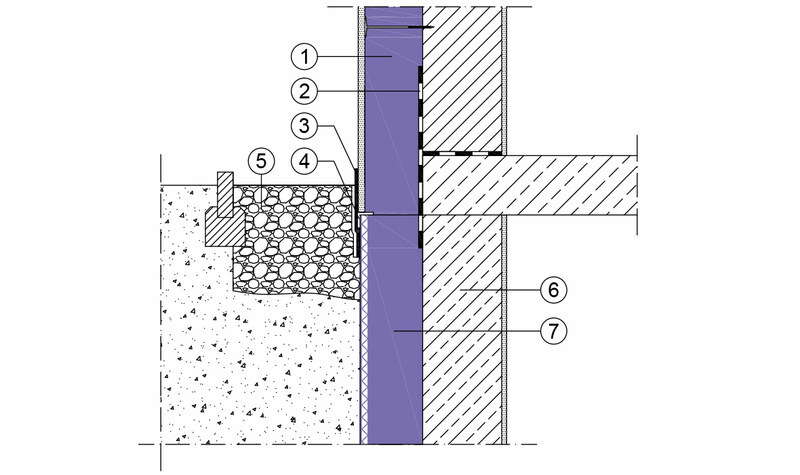 Because of its closed-cell structure, JACKODUR thermal insulation in extruded polystyrene foam (XPS) is resistant to moisture and therefore particularly suitable for use in building perimeters. Thanks to its proven features, there are no restrictions on installation depth, and additional protective coatings are also not necessary. 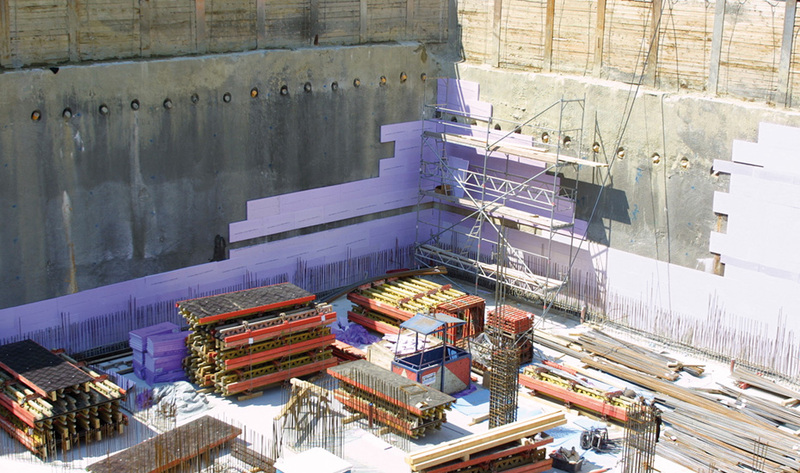 It can also be used in areas of constant or persistent standing water (ground water); the JACKODUR thermal insulation must stand no more than 3.5 m deep in the ground water. JACKODUR® Plus 300 Standard SF The XPS insulation board with maximum insulation value and minimum installation height. JACKODUR® KF 300 Standard SF Proven XPS insulation board for a wide range of construction applications. JACKODUR® KF 500 Standard SF Proven XPS insulation board for very high loads. JACKODUR® KF 700 Standard SF The proven XPS insulation board for extremely high loads. JACKODUR® Angle fillet The high compression strength insulation wedge for universal use.